The Enhanced Fleet Modernization Program (EFMP) is a voluntary car retirement (scrap) and replacement incentive program. The goal of the program is to incentivize lower-income California motorists to scrap their older, high-emitting cars and replace them with newer, cleaner and more fuel efficient cars. This reduces smog-forming pollutants (NOx and ROG) to help meet State and Federal air quality standards. EFMP also supports California's goals for reductions in greenhouse gas emissions (AB 32 Nuñez, Chapter 488, Statutes of 2006), and zero-and near-zero emission vehicle deployment (SB 1275 De León, Chapter 530, Statutes of 2014). EFMP contains two component programs: Retirement-only and Retire and Replace. Use the buttons below to read more detailed information about these two components individually as well as how participants can stack up funding with other programs such as the Clean Vehicle Rebate Program (CVRP) to increase incentives towards their new, cleaner vehicle. For information on clean transportation projects, incentives, and financing assistance, visit Moving California. AB 118 (Nuñez, Chapter 750, Statutes of 2007) enacted the Enhanced Fleet Modernization Program (EFMP). Approximately $30 million is available annually to fund the EFMP program through collection of $1 surcharge on motor vehicle registration. The Retirement-only program provides $1,500 to lower-income drivers to retire their older, higher polluting car. The Retirement-only program is available statewide and is administered by the Bureau of Automotive Repair (BAR) through their Consumer Assistance Program (CAP). For more information or for a copy of the application, please visit the CAP website or call BAR at (866) 272-9642. The Retire and Replace program goes one step further than the retirement-only program by providing up to $4,500 to lower-income drivers who scrap an old car and buy a cleaner and more fuel-efficient replacement cars. Alternative transportation mobility options, such as transit passes, are also available in lieu of a replacement car purchase. Participants in or near disadvantaged communities (SB 535 De León, Chapter 830, Statutes of 2012; H&SC § 39711-39723) may also be eligible to receive an even higher incentive from EFMP Plus-Up. 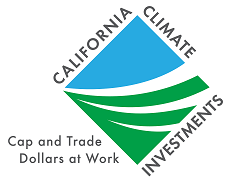 EFMP Plus-Up is funded through California Climate Investments. For fiscal year 2016-2017, the California state legislature appropriated at least $60 million to EFMP Plus-Up. EFMP Plus-Up complements the Retire and Replace program. Together they provide up to $9,500 toward the purchase of an advanced technology replacement vehicle (e.g. hybrid, plug-in hybrid, or zero-emission). To learn more about other light-duty equity projects, go to https://www.arb.ca.gov/msprog/aqip/ldv_pilots.htm. The incentive amount an eligible applicant receives under EFMP Plus-Up is determined by household income, the choice of replacement vehicle, and whether or not the applicant lives in or near a disadvantaged community. The incentive chart in the "Retire and Replace Program Incentive Chart" tab details the amount of funding an eligible participant can receive for each vehicle technology option. while "Stack up funding with CVRP" details how incentives from this program can be stacked with other incentive programs. The incentive chart below shows the amount of money available through EFMP and Plus-Up programs to a potential applicant. The replacement technology vehicle options are listed horizontally while the income eligibility criteria are listed vertically on the chart. Applicants meeting criteria under both EFMP and Plus-Up are eligible for the total funding amounts available under both programs (incentive amounts shown in bold text). Applicants that do not live in a disadvantaged community are eligible for EFMP funding amount only. An EFMP incentive can be stacked with other incentive programs as long as the total vehicle cost is not exceeded and all criteria of each program are met. The incentive amount will depend on a participant's vehicle choice and their income level. The income categories buttons below show the amount of incentives available when three programs, EFMP, Plus-Up, and the Clean Vehicle Rebate Project (CVRP) are stacked to increase the saving towards the new, cleaner vehicle that is being purchased. The CVRP incentive is only available for new plug-in hybrid electric or new battery electric vehicles being purchased or leased. For more information on CVRP, please visit the CVRP website; you may also contact a participating EFMP air district for further assistance. Keep up with Work groups, Meetings and Events. If you wish to receive notices regarding Enhanced Fleet Modernization Program - Car Scrap, please sign-up for the listserv.